"The system is perfectly designed to give you the results your getting. If you want better results you need a better system"
“The marketplace only rewards those who effectively execute and implement well planned strategy.” That’s where I come in. I can help you get the strategy and plan down on two sheets of paper. Because I give you the strategies, tactics and guided implementation you need to generate results. I over deliver like crazy (read the testimonials or call my clients) because once you’re “in” with me, I have nothing more to sell you; and we can get to work! If you ask anyone I’ve worked with, 90 percent of them will tell you that working with me was some of the smartest money they ever spent. Because you can’t surprise me. After three decades, 6,000 presentations, and now 8 years as a full time implementer spending every single day with a Entrepreneur and their leadership. I’ve seen every challenge you have 50+ times. I know what works. No theory. Because someone you know and respect recommended we chat. Gregory is as committed to mastering his craft as any EOS implementer on the planet. His business is 100% referral only. He runs at full capacity and whenever he has an opening for a new client his current clients rush in and fill the spot with a peer from their Vistage group or an owner from their circle of friends. Gregory Cleary is considered by most of his clients as having mastered EOS, not only because of his experience (he was the second Certified Implementers in the Twin Cities & one of the first 10 Certified EOS Implementers. He also conducted over 170 EOS sessions last year) but also because of his shameless, no-holds-barred, all-consuming obsession with EOS. More specifically, he’s obsessed with helping companies achieve their goals. And his obsession has paid off, with innumerable success stories in his portfolio. 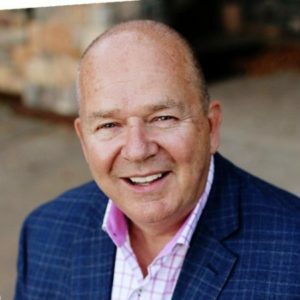 Gregory has been helping companies gain traction for over 25 years as a sales coach, collaborating with hundreds of companies and personally conducting over 6,000 sales calls. Gregory brings a wealth of real-world experience to every client and every session. He is out working with clients on a daily basis, sharing his success and helping to transform their companies from good to great! He has worked with leadership teams across nearly every conceivable industry vertical. At this exact moment, odds are he is with a client implementing EOS. Or talking about EOS. Or reading about EOS. Or thinking about EOS. Or learning about EOS. The Entrepreneurial Operating System® is a holistic business system that facilitates business growth and scale up. We would not have gotten in front of as many High Net Worth Clients and given them the opportunity to say YES, without the guidance of our Guru Mr. Greg Cleary. We have always believed you need to look through your rearview mirror to gain perspective , but look through the windshield to get to where you want to go. Greg helped us perfect that belief in The All Star Financial Proven Process! We chose Traction Implementer Greg Cleary to lead our efforts because of his experience working with larger organizations and his history with other business leaders who highly recommended Greg. One of our goals, with a robust team of 1,100 was to get all of us on the same page. We were able to do this through a variety of tools Greg introduced. With this ever changing retail environment staying more focused and consistent to your most important needs has never been more necessary and the Traction system along with Greg’s experience has been a helpful tool in keeping us aligned with these goals. Greg has been a great support for us in our unique launch of Traction. His knowledge of Traction and of how a business runs has been very helpful in keeping us on task and driving toward a common goal. Greg is a great example of “there is nothing better than experience”! 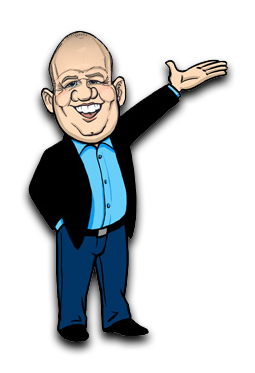 Greg you are consummate professional, a Traction expert and we are so lucky to have you navigate our business to its fullest potential. Greg has fundamentally changed the trajectory of our business. He has helped us clarify our value proposition and given us the tools to execute our differentiated process consistently with our clients and prospects. He has kept us accountable to our goals and our values, while facilitating concrete steps to solve some of the biggest challenges that face our business. He has made us think about what is really important to us as advisors, colleagues, and individuals. Our quarterly sessions with Greg allow us to re-focus our priorities so that we are spending the time and resources in the areas that are going to have the biggest impact on moving our business forward. Greg has done a great job at helping our Executive Team deal with the “tough” issues. He does not let you off with no decision. He asks great questions, and is a masterful facilitator of the EOS process! Greg Cleary has provided tremendous value in every step of our Traction implementation. I want the first dollars I spend each month to be spent with Greg as he and the EOS process have been so instrumental in helping us grow a profitable and healthy company. He possesses an uncanny ability to, in concert, teach, push, listen, and challenge us; all while making the process both rewarding and enjoyable. Greg is a master of his craft and I look forward to each Quarterly Session with him today as much as I did 4 years ago when we started the process. It works! Greg Cleary has been extremely instrumental in our success. We would not be where we are without his coaching. His experience, knowledge, preparedness and enthusiasm make our quarterly and annual planning meetings meaningful, engaging, impactful events. 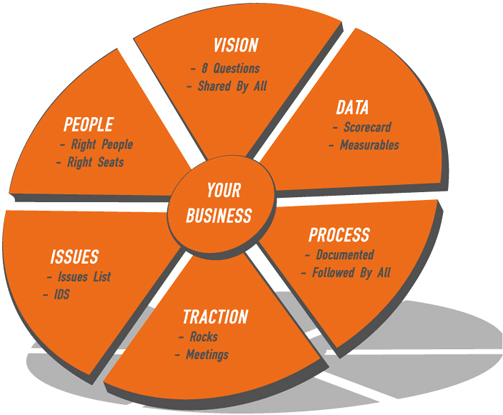 If you are thinking of implementing Traction…. talk to Greg! I’m not even sure how to begin to thank you for your time, your knowledge and wisdom over the last two days. It impacted me profoundly! It was game changing. You invited me into an entirely different realm of what it means to sell, what it means to be an EOS Implementer and what it looks like to be a human being living from & fully embracing their Unique Ability. I knew you were a gifted sales coach…now you’re a Sales Jeti. It was such a gift you gave us. Aside from deciding to join the EOS community, I can say that the time spent in Greg Cleary’s Sales Mastery program was one of the most important experiences to date on my journey as a Certified EOS Implementer. While Gino may have pulled the sword from the stone, it is Clearman the magician who works magic. I can’t thank you enough for the Sales Mastery class. I’ve gotten a ton of sales “advice” since I started my EOSI career, but your class was the first time I’ve learned practical, proven tools from someone that is an obvious master of the art and science of selling. My goal for the class was obviously to become a better salesperson, and my expectations were far exceeded in that regard. But the unexpected greats – more laughs than I’ve ever had in two days and tons of encouragement and confidence – were what really made the class. Let’s get one thing straight: Greg Cleary is a prince of a man…and the best implementer I have ever witnessed in the flesh. Yes, I came to his sales class to get sales strategies and oh boy, did I get them. But what I really got was so much more valuable. He gave a long look behind the curtain of what true EOS mastery looks like. Greg generously shared his best techniques and insights on how we can change the lives of people that we work with forever for the better. The next session after Greg’s class, I walked in with a personal mindset shift that helped my struggling team lay out a vision for their future that brought tears of joy to their eyes. Mine, too. Greg Cleary and what he shares is solid gold! I was blown away by the overall extraordinary experience. What you showed me is helping me creating new clients, blow them away in session, keep them forever, and truly live the EOS life. Thank you Greg! Going into Greg’s Sales Mastery Boot Camp, I thought I had a pretty good handle on how to find clients and provide clients with our product. I quickly realized there was much more to learn, and Greg was the right person to teach it. His passion for sales was only outweighed by his obsession with helping his clients succeed. I would highly recommend this training for anyone ready to take their practice to a higher level for both their business and for their client’s businesses! 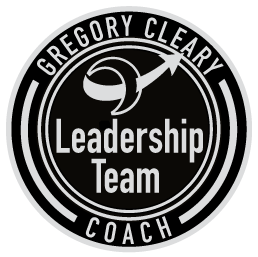 I recently attended Greg Cleary’s Sales Mastery Bootcamp and I can honestly say that it was one best learning experiences of my professional career. Over the last 4 years, I’ve attended at least 5 other workshops and training events. While I took something away from all of them, the Sales Mastery program was beyond a doubt head and shoulders above them all. As I’ve reflected on what made it such an impactful event for me, I’ve concluded that it was the overall experience that made the difference. Yes the content was outstanding, but Greg’s attention to ensuring every participant had a relevant and meaningful experience with himself and everyone else in attendance, was the difference maker. Greg’s commitment to helping others be great is not what he does, it’s who he is. I feel blessed to have been invited and will be eternally grateful for the value I received. OMG! Greg is an amazing sales, marketing, facilitator/coach machine. Yet so humble and obsessed with helping others. I have never received more solid, proven processes, closing techniques, key phrases and nuggets for sales & marketing as well as so many tips on how to deliver extraordinary value in sessions. ©2018 Gregory Cleary. All rights reserved.